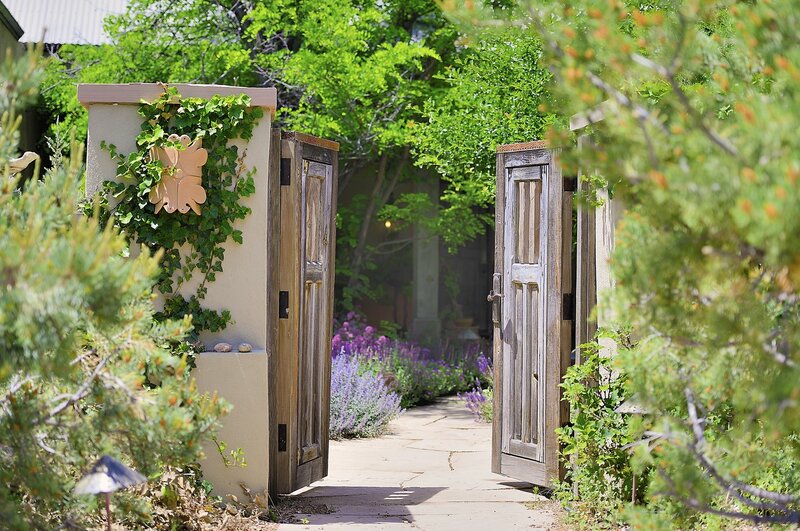 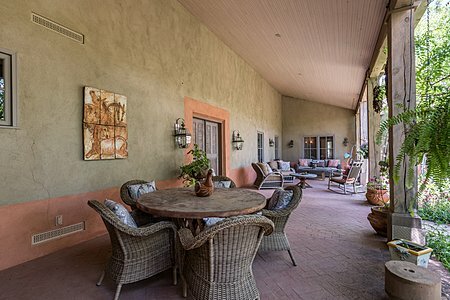 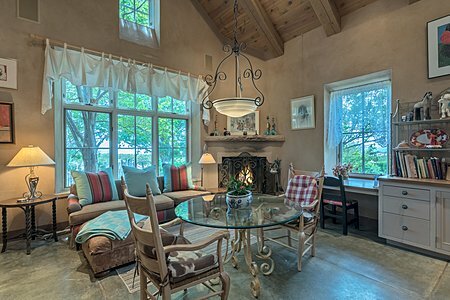 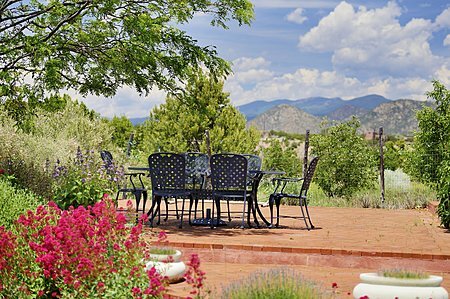 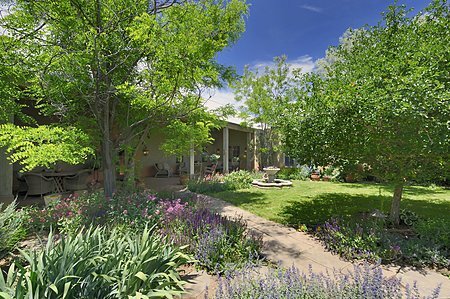 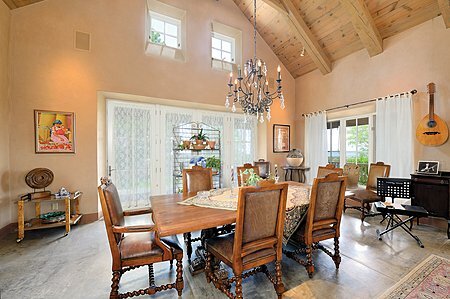 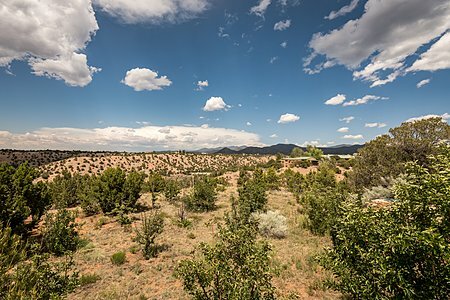 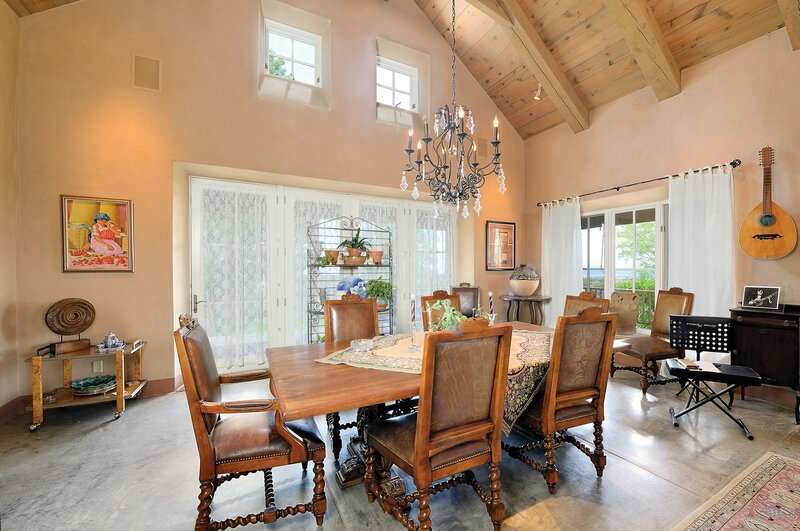 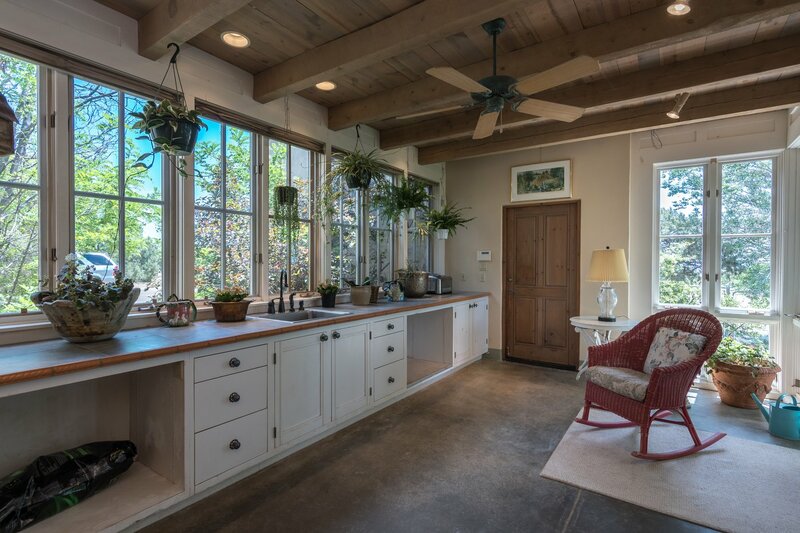 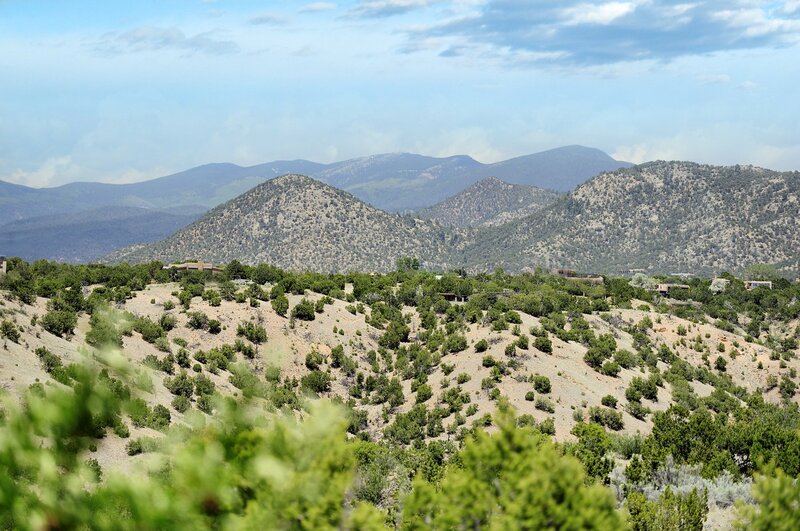 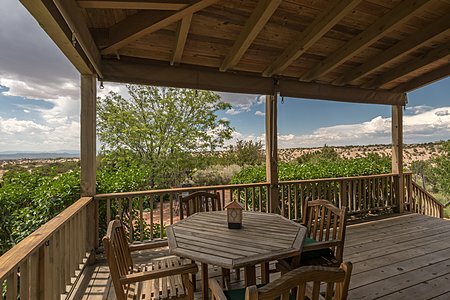 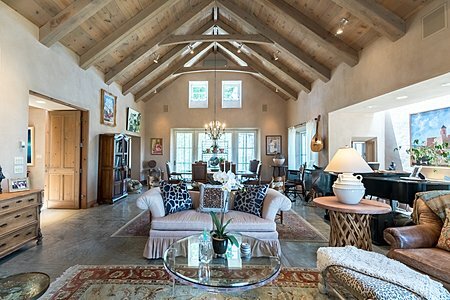 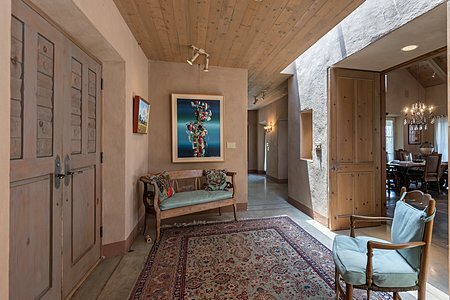 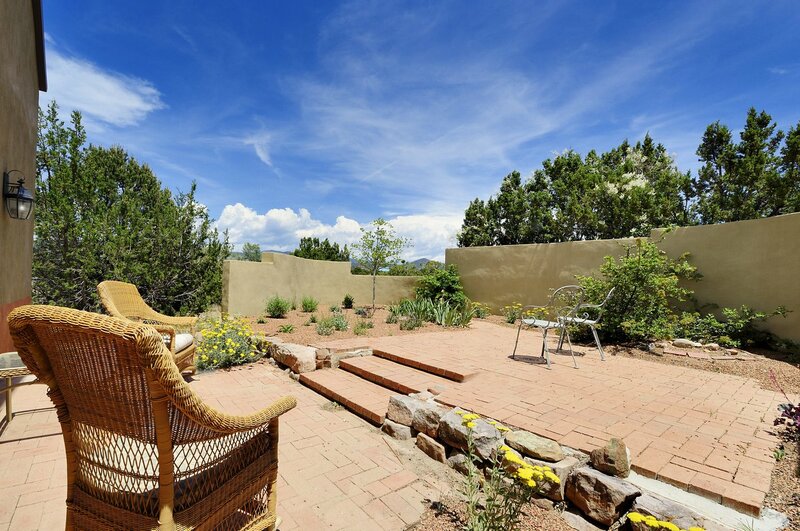 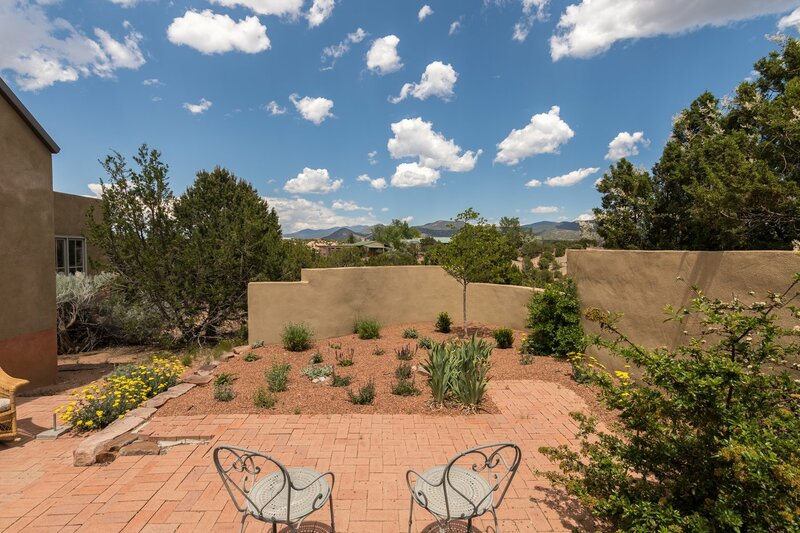 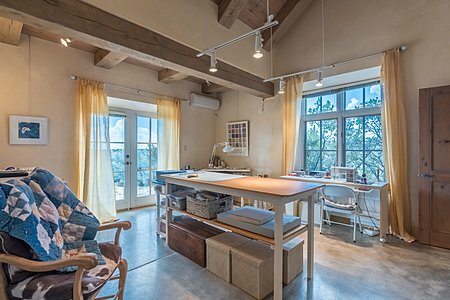 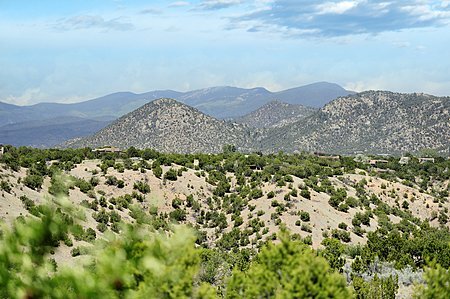 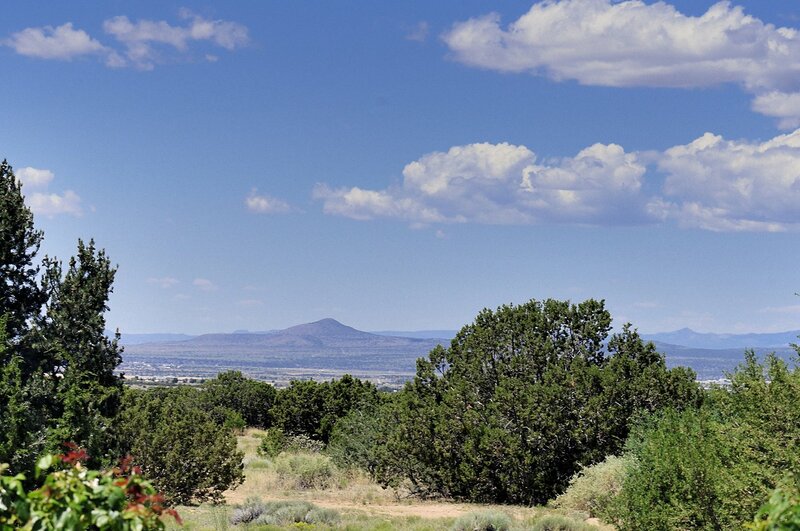 Located on more than 6 acres with fruit trees and a fenced backyard, this beautiful 3 bedroom 3 bath home designed by Beverly Spears and built by Blue Raven Builders is a splendid retreat just minutes south of Santa Fe. 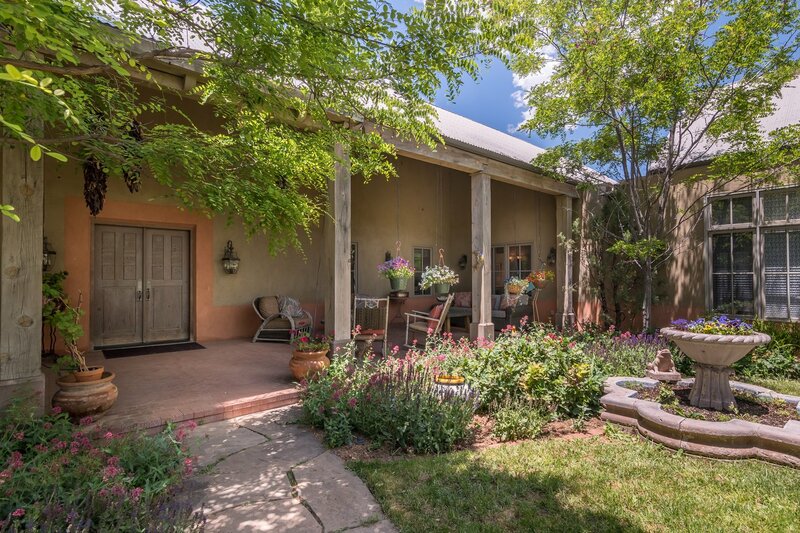 Enter through the rustic wooden gate leading to the front porch, which provides ample shade for you to enjoy the lovely landscaped gardens in front of the home. Once inside, the living and dining areas flow together in the open floor plan, with polished concrete floors and a graceful vaulted ceiling. Step through French doors onto a covered outdoor deck in back with views of the surrounding hills and mountains on the horizon. 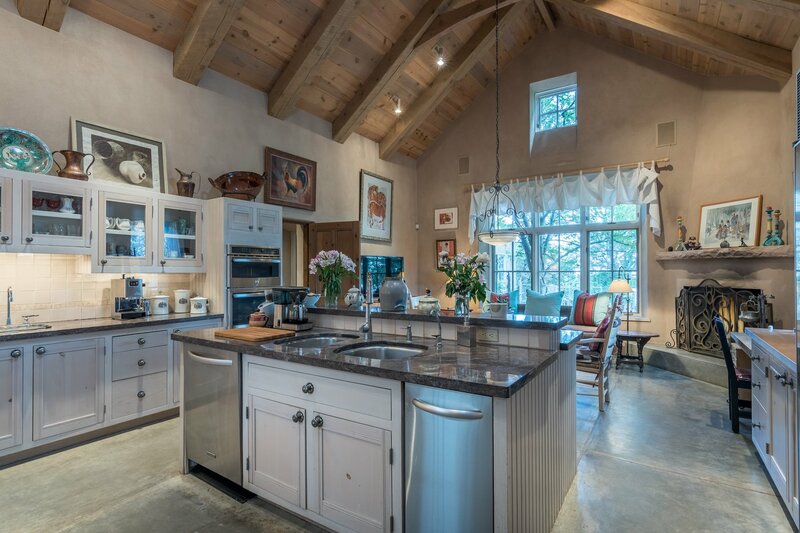 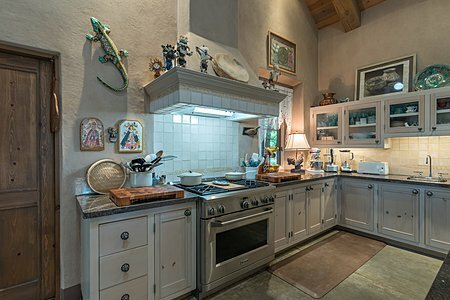 The cook&apos;s kitchen, with a large walk-in pantry, has a gas stove and an eating area next to the corner fireplace. 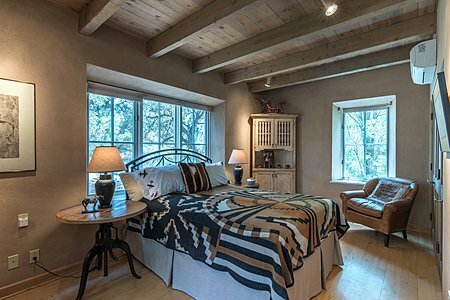 The master bedroom boasts a kiva fireplace and French doors leading outside to a walled brick patio with wonderful views of the Sangre De Cristo foothills. 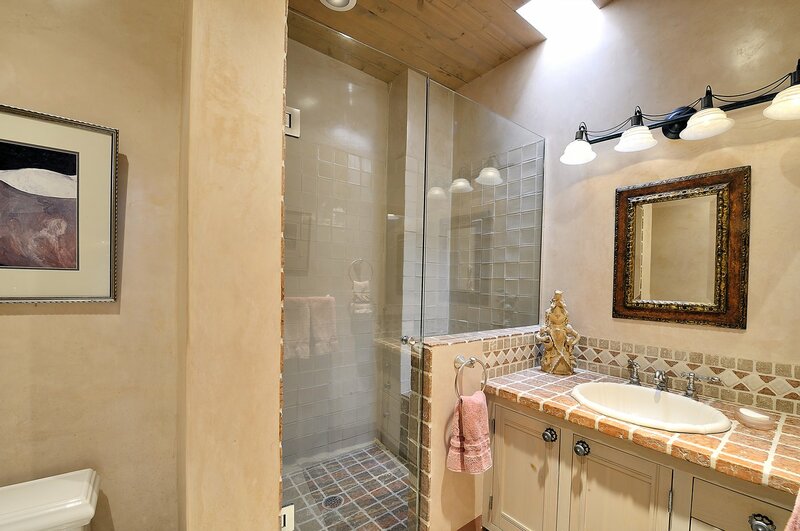 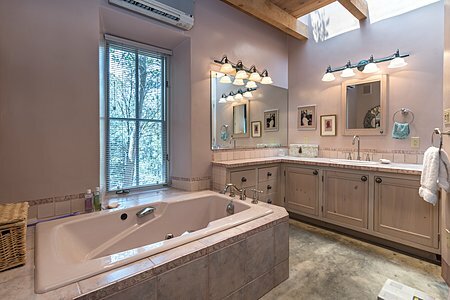 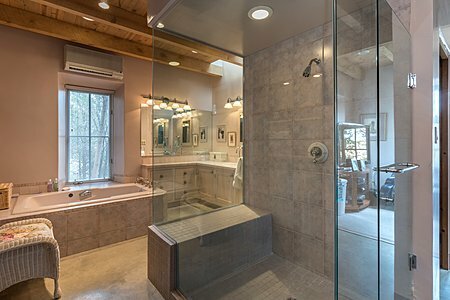 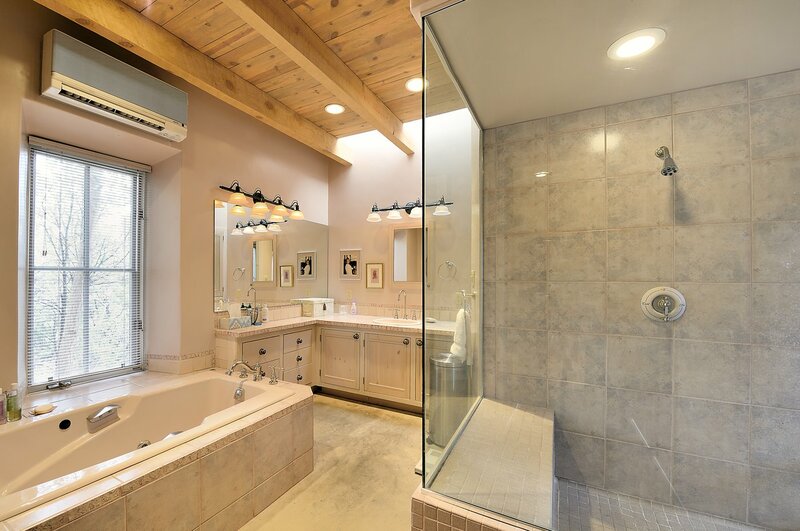 The master bath contains both a jetted steeping tub and a large separate shower. 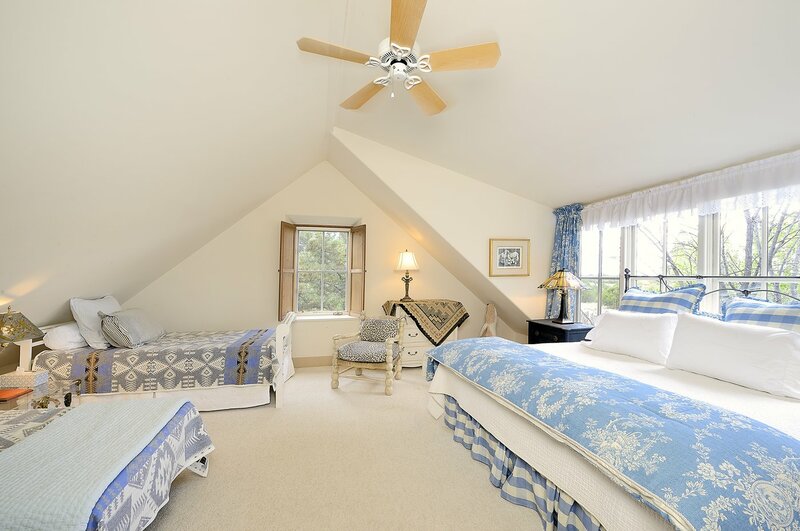 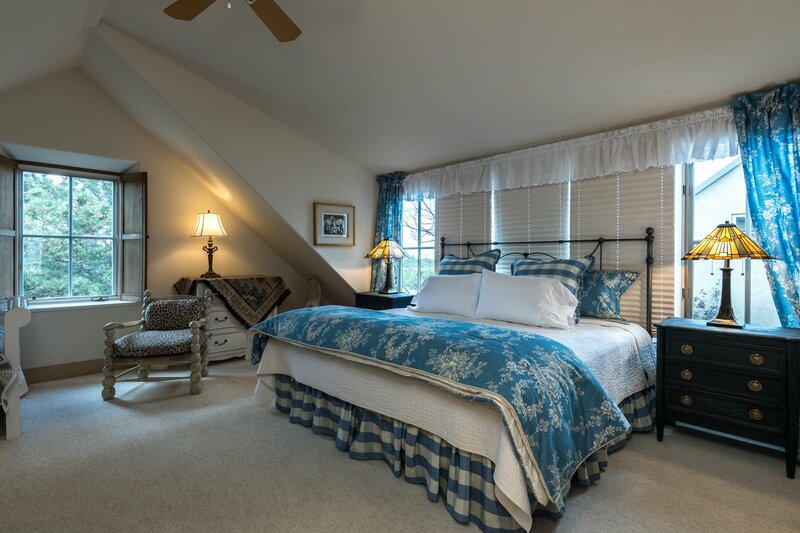 The loft area above the downstairs guest bedroom is currently set up as a third bedroom. 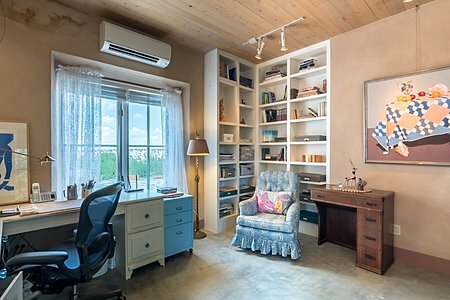 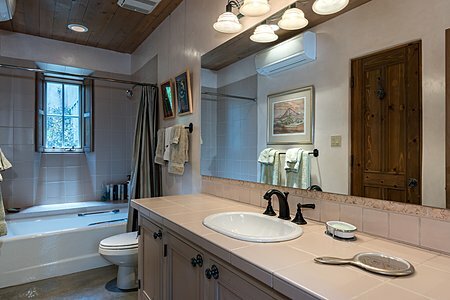 With dual heating and cooling units throughout, the home is comfortable and inviting. 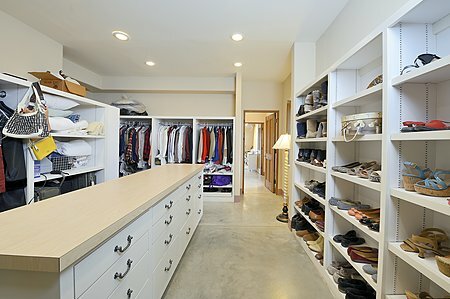 Additional features include a large walk in closet with laundry room nearby, an office and a cheerful sewing room both with built in shelving, and a sunroom/hot house that leads to the 2 car garage. 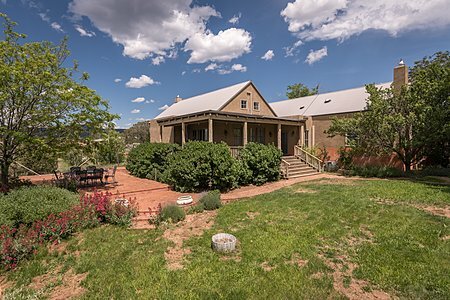 Horses are allowed. 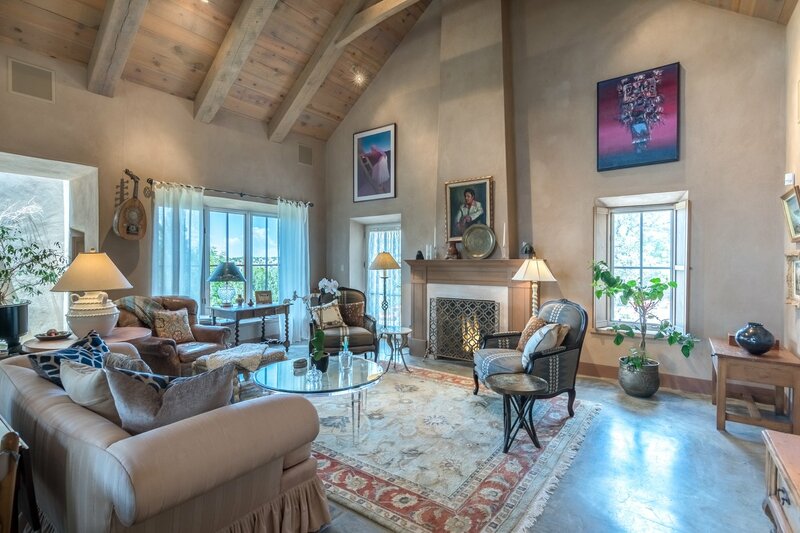 Secluded yet close to town, experience this lovely custom designed gem for yourself.